All of our sandwiches are made on our own C Shop breads. 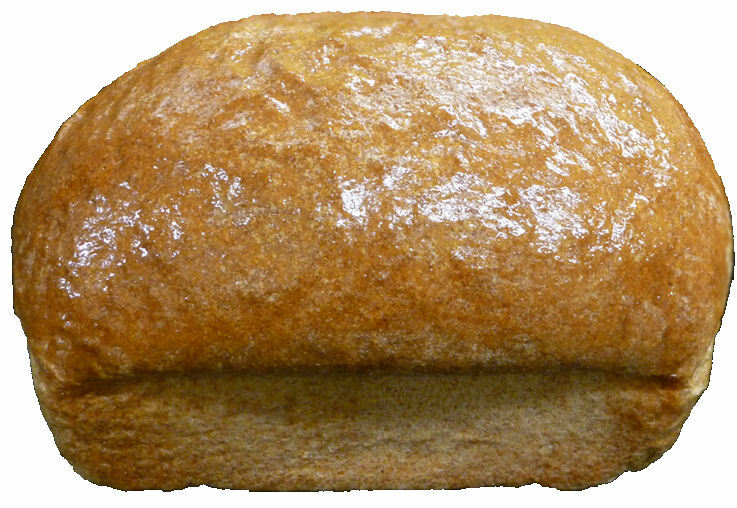 Choose from white, 100% organic whole wheat, French bread and rolls. Occasionally, we'll bake up a special batch of something. We'll announce it if we're making sandwiches on something new. Okay, we're not actually growing anything that we serve at the shop, but we do try to use local producers. 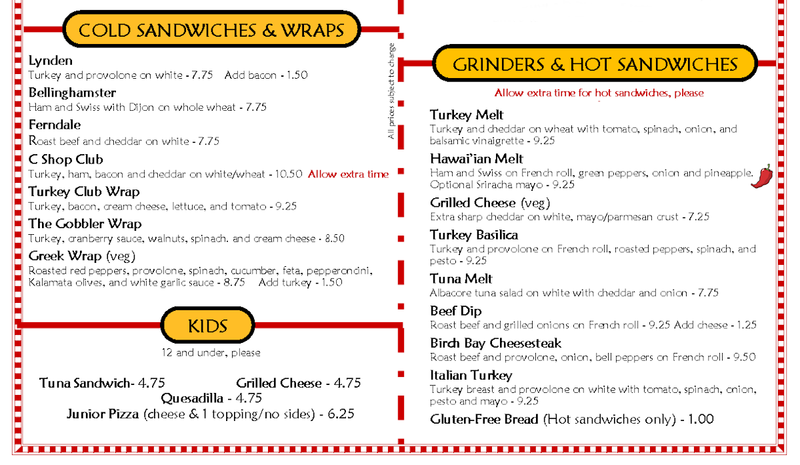 To that end we serve Hempler's (Ferndale) ham, Tillamook (Oregon) pepperjack cheese, and Skagit Valley potatoes among others. We even use Washington wheat grown in the Palouse for our breads and pizza dough. All of our gluten free products (bread, pizza crust, cookies, and waffle cones!) are made by 5b's Bakery in Concrete. Now that I think about it, we do grow the rosemary for our very occasional potato rosemary bread. Allow extra time, but it's worth the wait! 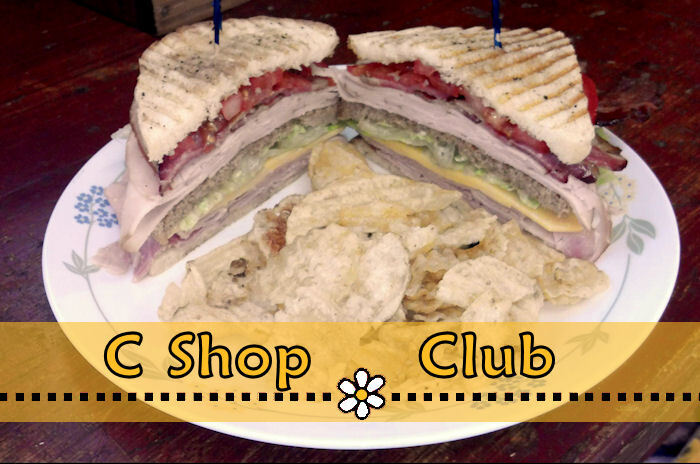 The C Shop Club is a triple decker with turkey, Hempler's black forest ham, applewood-smoked bacon, cheddar cheese on white and wheat slices with tomato, lettuce, and homemade honey mustard dressing. Sandwiches come with a choice of side salad or a generous handful of Kettle Chips.